It was our first time in Cagayan de Oro (CDO) over the weekend. +Jomar Tigcal and I were speakers during the +GDG Cagayan de Oro6th Monthsary Meetup. We were at NAIA Terminal 3 at around 5:30 AM (early for our 6:55 AM flight). Surprisingly, our flight departed on time and arrived CDO on time. By 8:20 AM we found ourselves in the one-month young Laguindingan International Airport. By the time we exited the airport, we had seen our former colleague +Paul Michael Labis who is now home-based in CDO. Divine Mercy Shrine Our first stop was the Divine Mercy Christ Shrine in El Salvador City, Misamis Oriental. It's one of the cities and municipalities between CDO City and the airport. Paul dropped Jomar and me off at the bottom of the Shrine, and we climbed the many steps of stairs (I should have counted it!). Oh, and at the entrance, they'll lend girls a skirt that you could wear while inside the shrine compound. Last July 20, 2013, +Jomar Tigcal and I made an effort to explore the other restaurants along Maginhawa Street (a few steps away from where I live) in Quezon City. This time we had lunch in Fruili Trattoria. When the tricycle would pass by this restaurant, I would always think that it's some fruit yogurt store. It's an Italian restaurant which serves pizza and pasta. By far, my fave pizza-pasta place is The Old Spaghetti House. Fruili comes close. It's reasonably priced, and they serve good food. 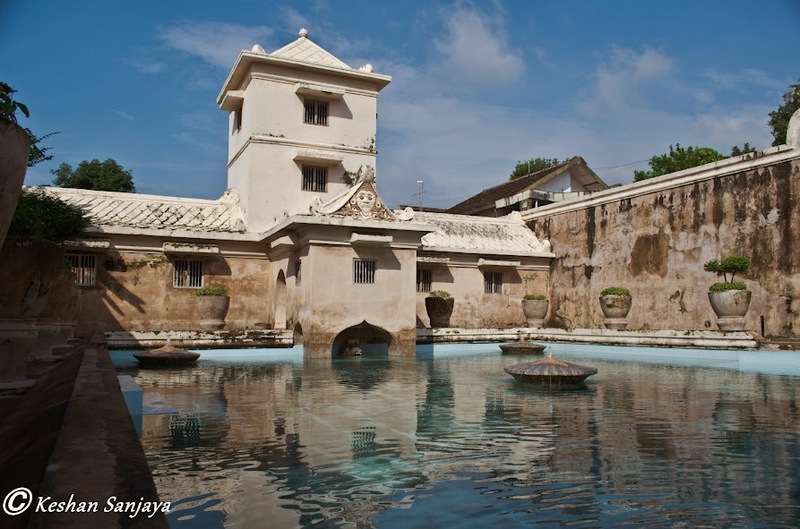 After the successful Southeast Asia Summit with Google, a good number of Filipino delegates stayed in Jogja to see the rest of the city and what it has to offer. Thank God, Reymart has friends who are living in Jogjakarta, Indonesia. Not only did they gave us a tour and drove us around the city (instead of hailing and waiting for a cab every time), they were our translator and had become our friends. Bella and Titis are our new friends from Jogja! Both girls gave us (+Jomar, +Josan, +Reymart, +Ruben, +Reymart, +Keshan, and I) a tour around the city.